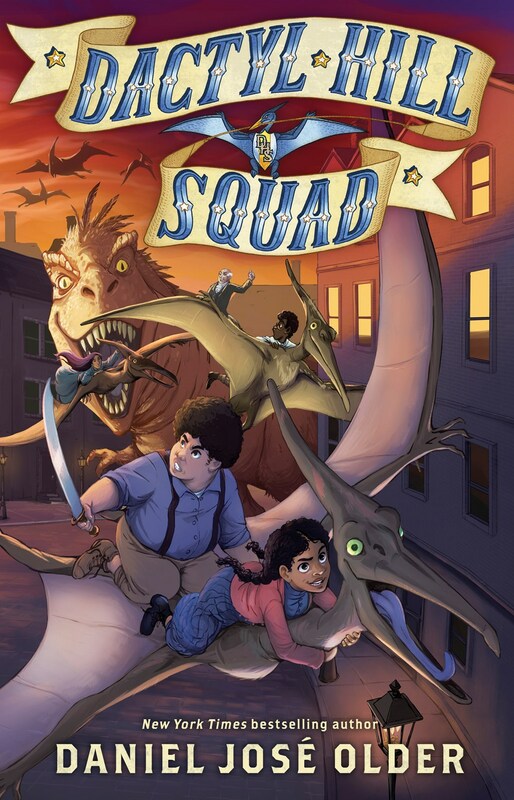 Set in New York in 1863 at the time of the Civil War, Daniel José Older’s series novel Dactyl Hill Squad is a blend of history and fantasy with an abundance of action and adventure. Although Older adds dinosaur riders to his story—giving twelve-year-old Magdalys Roca the special ability to hear the dinos’ thoughts and control them with her mind—he tells the truth about orphan life and explores some other very real social issues. For example, he mocks segregation habits like designating riding privileges along racial lines or colonization attempts like renaming. When the Kidnapping Club, led by the devious Magistrate Rich Riker, burns down the Colored Orphan Asylum, Magdalys and her friends Mapper, Amaya, Sabeen, and Two Step decide to fight back. However, they unwittingly end up taking on the Knights of the Golden Circle, a pro-slavery group involved in a human slavery smuggling ring. 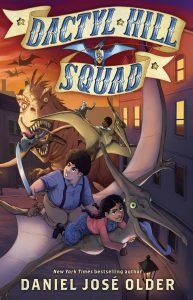 With the help of several sympathetic adults who belong to the Vigilance Committee, the youth find a common mission and a sense of belonging when they form the Dactyl Hill Squad. Despite the brokenness in their world, they combine their talents, hoping to set right a country at war and hoping to maintain their freedom. Amaya, who is half Apache and whose father is the great General Cutbert Trent, a hero of the Mexican War, knows everything from battle tactics to acrobatics. And Mapper uses his extraordinary ability to visualize and to draw diagrams and maps, which the squad utilizes to gain advantages against their enemies. Another complication occurs when Magdalys learns that her brother Montez has been injured in the war and is in New Orleans. She needs to get to him to make sure he’s alright, and together they might go to Cuba to find their parents and sisters. “Maybe they could create their own sense of wholeness if they could pull their shattered family together again” (122). To further enlighten readers as he develops his theme of loyalty, the back matter of Older’s historical fantasy shares people and place names with historical significance, as well as glossaries that identify various dinosaurs, weaponry, and 1860s slang. Tagged Civil War, dinosaurs, gender, loyalty, race, slavery. Bookmark the permalink.